When I was younger, I was mostly dressed in the most beautifully styled dresses, (we would refer to them as ‘frocks’ at the time) and I knew exactly who made them! It was our ‘Munna tailor’, where my Ma used to take us. Ma would explain how we wanted the outfit to look (the cut, the style). Of course, a visit to the fabric shop to choose the material was mandatory prior to visiting our tailor. So, coming back to the point of this post, I knew exactly #whomademyclothes . Then, sometime in the midst of growing-up, ‘ready-made’ clothing got hugely popular and mass-churned clothes started flooding the stores. Somethings, still stayed ‘handmade’. If you wanted a blouse to go with your saree, then you had to get it stitched, but now, there are ‘ready-made’ versions of the blouse too! I am not against ‘ready-to-wear’ but with an increased awareness now, I am in favour for knowing the name and face of the tailor who made my clothes! 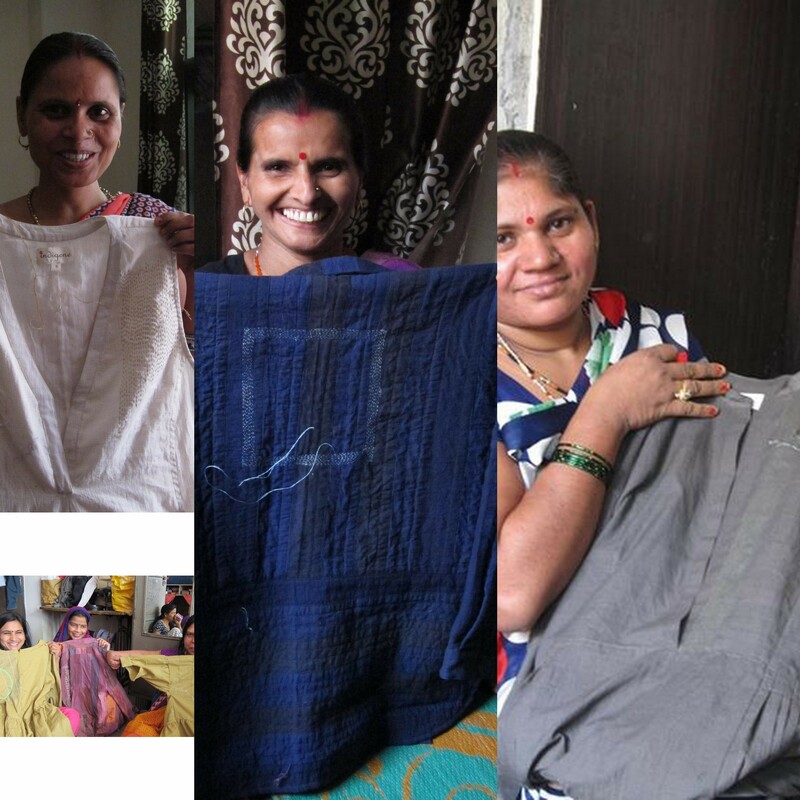 Gradually, mindset of the people began to gravitate towards the environment and the artisan friendly ‘handmade’ trend. According to Google trends, the search for the term ‘handmade’ has more than doubled worldwide since 2007. A movement of sorts took shape and wearing ‘handmade’ started gaining popularity. However, people were still unaware of the face and hands that created it all! Today, a ‘revolution’ has started, and designers and companies are being asked to answer the very pertinent question: ‘who made your clothes?‘ for both, factory-made and handmade clothing. Fashion Revolution, based in the UK, spearheaded this across continents and if you choose to, you can be a part of this too. Click here to read more. Did the artisan feel a sense of fulfilment and pride, and did that connection with the consumer make lives better? Were their families moving up in the ‘comfortable life’ ladder? Ruchi and Jaya, founders of Indigene, take great pride in their family of highly skilled artisans involved at several stages of creation. Following a long supply chain, Indigene strives to keep intact the real meaning of ‘handmade by artisans’ and ‘ethically crafted’. Indigene has been involved with a small group of women (mostly migrants from Bihar and Jharkhand, now settled in Delhi) since the past 4 years. They work with them on ‘sujni’ embroidery, already familiar to the women, and actively help the artisans to develop their skills in other variations. Upasana, is a hub for creativity, design, fashion and culture, where there is a focus on social responsibility as well. A place, where the real people (the artisans) are the core of the business. All the tasks associated with the projects, products and resources work together to ensure that the people develop and attain brilliance. Uma, the founder says, “Fashion has the power to change the world. Give it a chance” and I think, we absolutely must. I don’t expect everyone to have an intrinsic need to be mindful while shopping, or even have a need to know #whomademyclothes. However, personally for me, I have come a long way from ‘not caring as much‘ to being mindful of where my clothes come from, who makes them and being a believer of sustainable fashion. Now, sustainable fashion is more than just knowing #whomadeyourclothes; it is fashion that doesn’t tread on any toes. It also ensures that the hands that create are happy and continue to develop and attain brilliance. 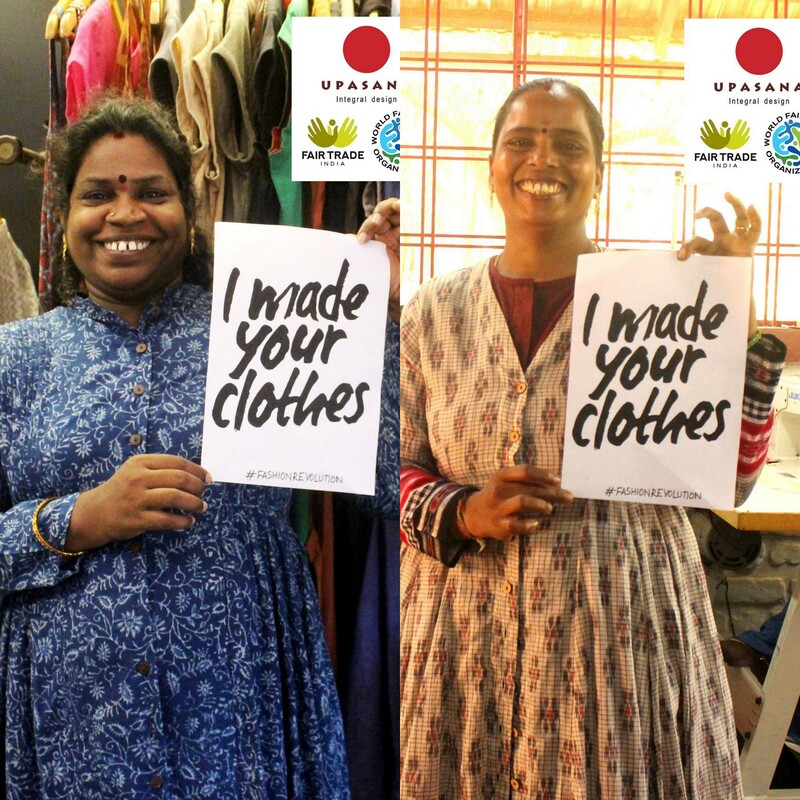 Both Indigene and Upasana, are flag bearers of the sustainable fashion revolution, creating beautifully handcrafted clothing interwoven with the threads of sustainability, earthiness of natural fabric and the personal connection with the person #whomademyclothes. Be mindful while shopping, care enough to know more about what you buy …Be Notjustashopper!